Four stars, and I would definitely see this again, even though I don't usually like war movies. 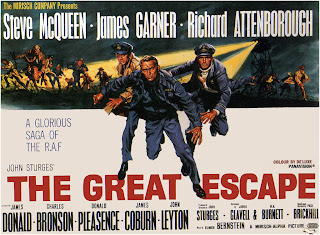 I had two reasons for wanting to see The Great Escape: a long-time love of Nick Park's Chicken Run and a recent viewing of The Adventures of Pete and Pete episode "Grounded for Life" (season 2, episode 1). 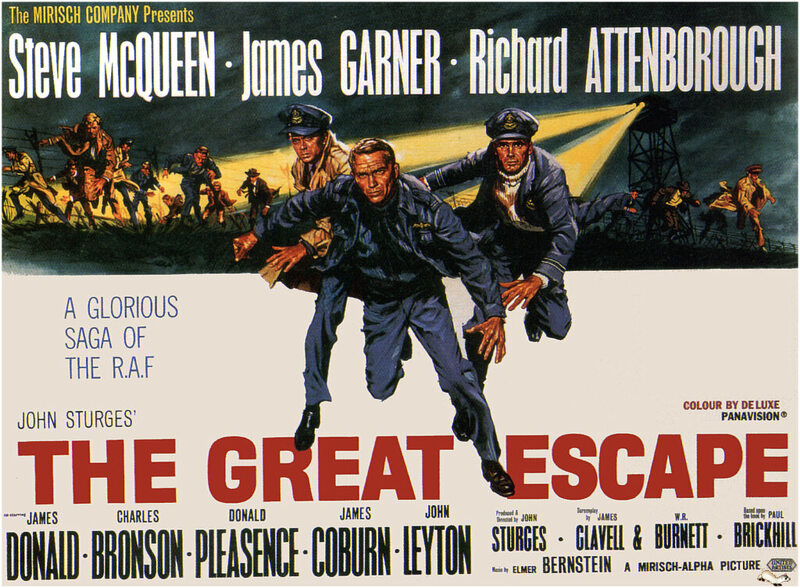 Both drew inspiration from The Great Escape, and I wanted to see it for myself. 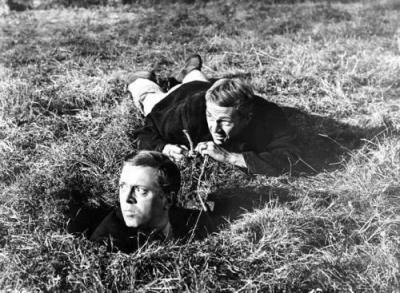 *The Germans have built a brilliant new camp from which they think no captured officers can escape ("we have in effect put all our eggs in one basket"). First day open: 7 unsuccessful attempts, including men under branches in trucks and men trying to join a Russian work line. Hilts (Steve McQueen) tests weaknesses in the guards' line of sight with a baseball, earning him 20 days in semi-isolation. *Clever ways of working on three tunnels while remaining unnoticed... carrying pouches of dirt in your pant legs to dump in the garden (see also Pete and Pete)... hammering during a singing of the Christmas carol "Oh come all ye faithful..."
3) Pete and Pete's "Grounded for Life"
As a younin I was so glad to be introduced to Classic films with The Great Escape. Also learned a lesson in patience as I watched it.